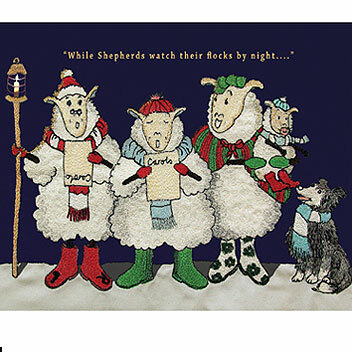 While Shepherds watch their flocks by night! – Life after NEWI!! While Shepherds watch their flocks by night! My Christmas card 2008 illustration made from my own illustration which was then free machine embroidered with extra affects added with on the computer.